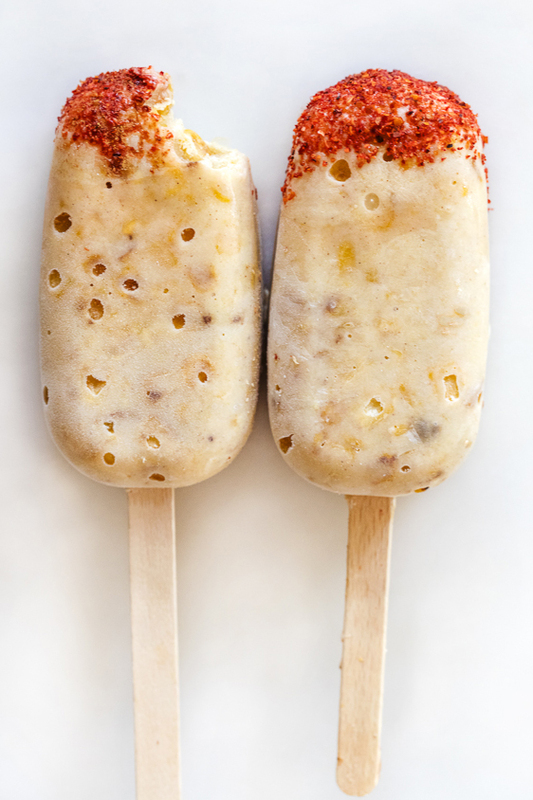 Mexican ice pops often incorporate more exotic ingredients than their northern counterparts and my Sweet Corn Paletas are no different. 1 cup milk, I used almond milk but any kind of milk will do. Sauté 1 cup of the corn in the butter over medium heat, stirring occasionally until browned, about 7-10 minutes. Set aside. Simmer the corn, milk, half and half, sugar, vanilla, salt and cinnamon over medium heat for 15 minutes, stirring frequently. Let cool. 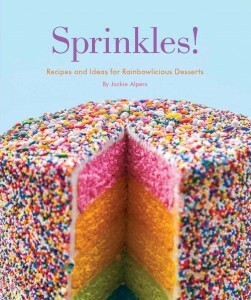 Stir in the yogurt, and then pour the mixture into a blender or food processor and pulse until smooth. 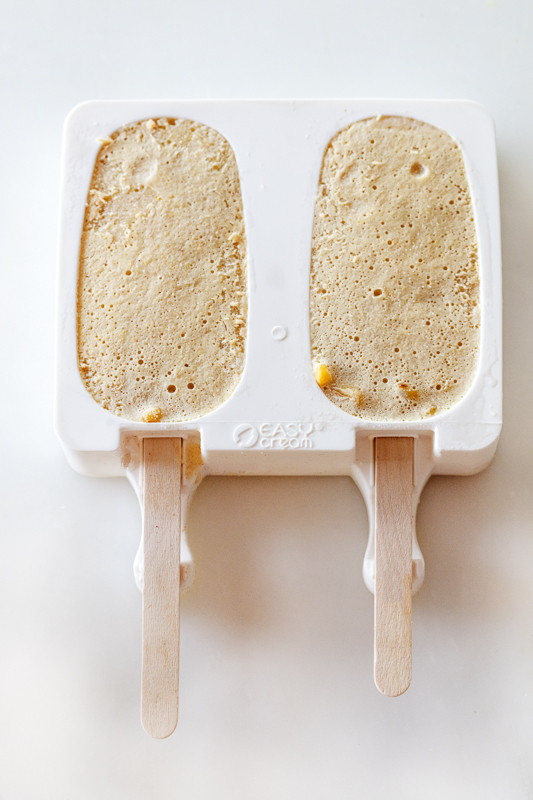 Divide even amounts of the cooked, browned corn into the popsicle molds. Spoon in the yogurt mixture and freeze until set. About 4-6 hours, or overnight. To serve, unmold the ice pops then dip the ends briefly in water and dip into a bowl of pico de gallo seasoning and sprinkle with cinnamon.